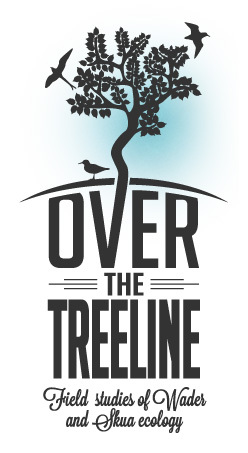 Get a feeling has designed a new logo for Overthetreeline blog! Hope you like the information and continue enjoying it, now with a new appearance! Welcome to Overthetreeline new Blog! We will soon post information about our studies in the Swedish mountains with waders. With this new blog we would like to share our experiences in this project within the members, all participants and anyone interested in the topic. Ongoing notes on our field work will be posted together with pictures and HD videos during next field season 2012. Start learning about us and the project in the pages above! Join Overthetreeline, see you soon! Next field season is coming soon! In the next few weeks we will start posting field notes with pictures and videos about this next exciting field work season where the most highlighted is the recovery of 55 light-loggers we placed last year in European Golden Plover and Long-tailed Skua adults. New videos in HD will be uploaded next field season where we will show the breathtaking landscapes of our study area and its nature!